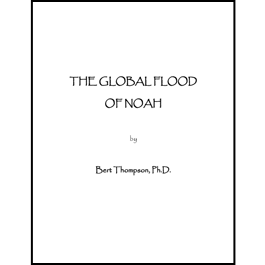 This 33-page electronic version of the book by Dr. Bert Thompson presents information regarding the biblical Flood as an historical event. It discusses the global nature of the Flood, specifics of the Flood accounts and skeptics' attacks on the Flood account. This is a PDF file that will be available for download after you have completed the checkout process.